Mason Jars are one of those things on earth that make my life cleaner, prettier, and simpler. I'd love to do a little round-up as to how these fabulous glass jars make my economical world go 'round, but for now here's how they keep they keep me just a bit saner come the Purim time of year: jarred Shalach Manos (i.e. "Purim Baskets"). 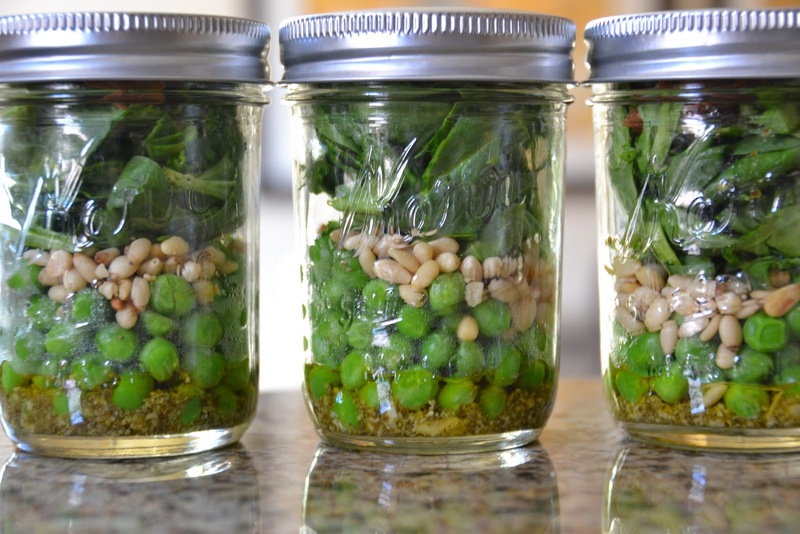 (2008) Spring-pea Pesto in a jar. Stick in the fridge, and blend up on demand. Dinner's a cinch! 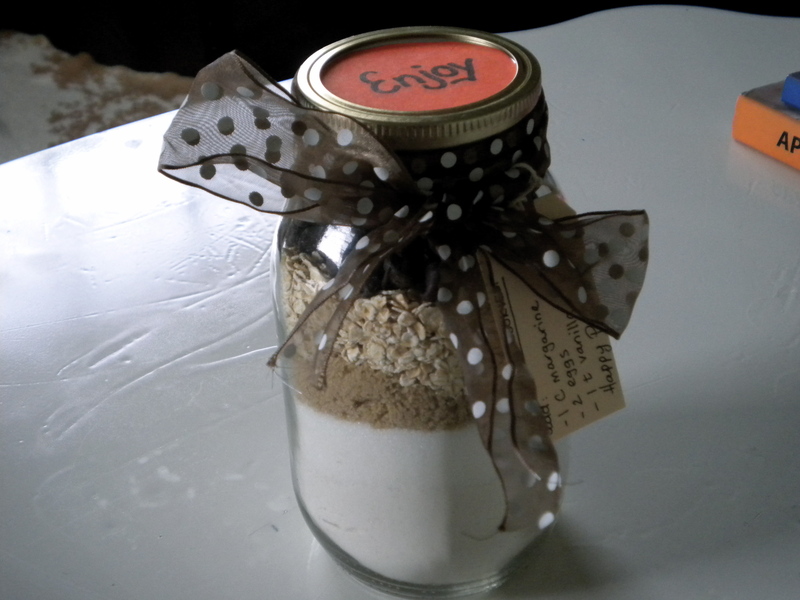 (2009) My grandmothers Oatmeal Espresso Chocolate Chunk cookie mix in a jar. 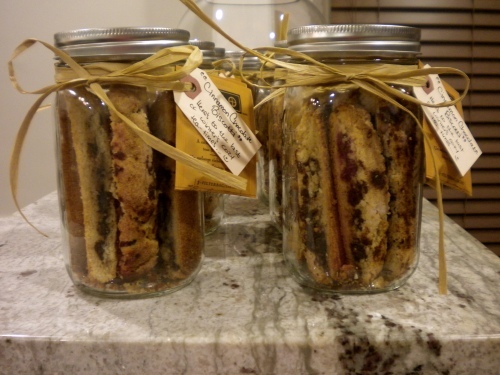 A useful gift to stick in the pantry for late night cookie monsters, rainy days, or last-minute play-dates. (2010) Cinnamon Chocolate Biscotti + Chai Tea bags. A cozy tea time in a bottle. I'm not quite finished with this year's just yet (there are some details that can't be done until the last minute), but let's just say I would totally enjoy a Cupcake in a Jar if it were dropped off on my doorstep!